If you didn't already know, Gum Takes tooth are joining Housewives and GNOD and many other killer bands at this years Supersonic Festival. Endlessly innovative yet fundamentally primal mesmerism springing from an unclassifiable maze-source where barely identifiable fragments of accelerated temporality event-horizon sound system culture and tearing psych-rock riffology tumble totally free from their identifying signifiers, only discernible through the solar flares of raw energy by their powerful physical kinesis and consciousness folding volatility. Gum Takes Tooth define their own paradigm of a maverick man-machine union in their consistently incendiary live shows. 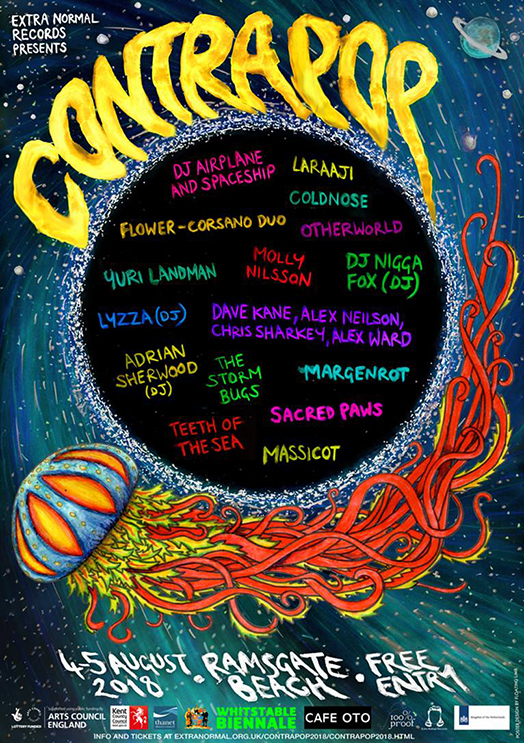 Teeth of the Sea have been confirmed to play Contrapop Festival in Ramsgate on 4/5 August. 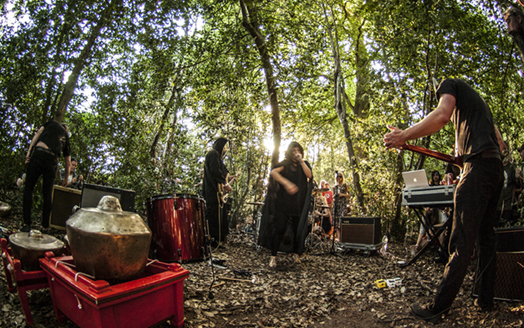 Joining them are Coldnose, Adrien Sherwood, Laraaji, Flower Corsano Duo and many others. And it is on the beach and it is FREE!! It was only a few months ago we kicked off our years worth of 20th Anniversary celebrations with our weekender at The Garage. There has been a debate waging in the field of popular philosophy over whether things are, in very general terms, getting better for humanity. Members of the glass-half-full brigade include Steven Pinker and Peter Singer. Look at the medical advances we've made, they say. Violence is less common than in previous ages. Cruelty towards women, children and animals appears to be on the decline. We're generally more altruistic than we used to be. The new Arctic Monkeys album has got some quite interesting bits in it if you turn your head to one side, squint a little, and inhale paint fumes. Challenging all this is the cynicism of John Gray. Borrowing heavily from Jean-Jacques Rousseau's counterattack on the Enlightenment, Gray believes that the progress of civilisation is a dumb fallacy. If fear of nuclear weapons use has helped prevent mass armed conflict, great powers have fought one another in numerous proxy wars and the deaths of non-combatants has steadily risen. The bulk of major technological advances have been a double-edged sword. Rationalism is a utopian delusion. Alex Turner's talent as a lyric writer has become steadily worse and it's now apparent that a tranquilised otter could do a better job. Judging by the trajectory of their output, it'd be fair to assume that Gnod sit in the latter camp, albeit coming from a more anti-capitalist stance than Gray's cheekily provocative liberal-baiting one. Last year's album was called JUST SAY NO TO THE PSYCHO RIGHT​-​WING CAPITALIST FASCIST INDUSTRIAL DEATH MACHINE (in full caps on a blood-red background, no less). 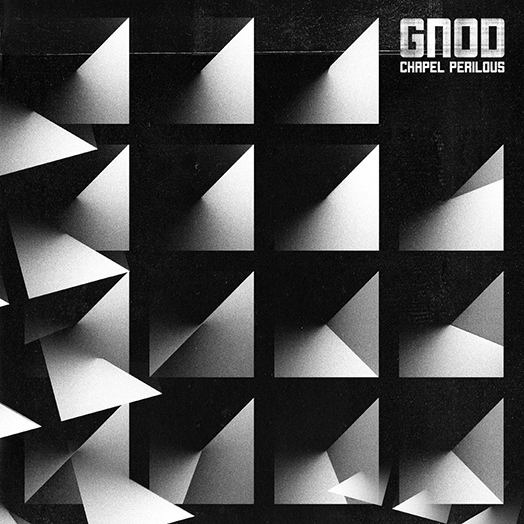 In contrast to the swirly-whirly playfulness of some of Gnod's early psychedelic handiwork, it was a bleak, angry and nihilistically Swans-like affair. Fifteen minutes long, Chapel Perilous' opening number starts off like the first note of 'Purple Haze' being struck over and over again, steadfastly refusing to break into Hendrix's euphorically funky full riff, then builds and builds into a metallic symphony of cranking harshness. "There's no space for meeeeeeeeeeee," bawl the vocals as if John Lydon and Jaz Coleman had birthed a lovechild and then left it in dustbin with nothing for company but a second-hand copy of Thomas Hardy's bleakest tome. At the tail-end of the album sits the equally fierce if punkier 'Uncle Frank Says Turn It Down', the main riff for which is kinda nu-metal if you think about it, albeit used for far more noble purposes than Coal Chamber ever mustered. In between sit more abstract numbers loaded with droney throbs, foreboding chimes, trip-metal crackles and clattering Einstürzende Neubauten percussion. 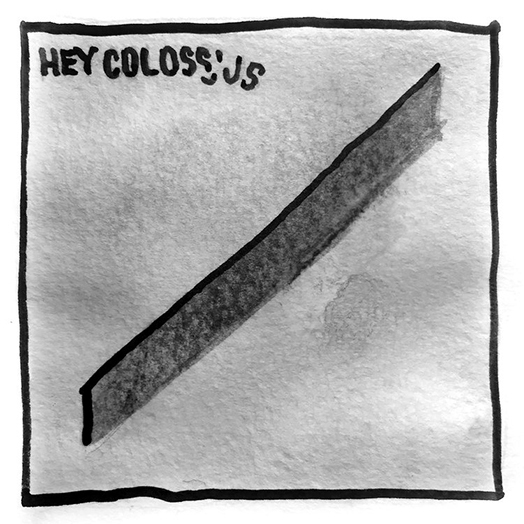 It's hard to think of a better accompanying soundtrack if the world really is becoming steadily more fubarred. 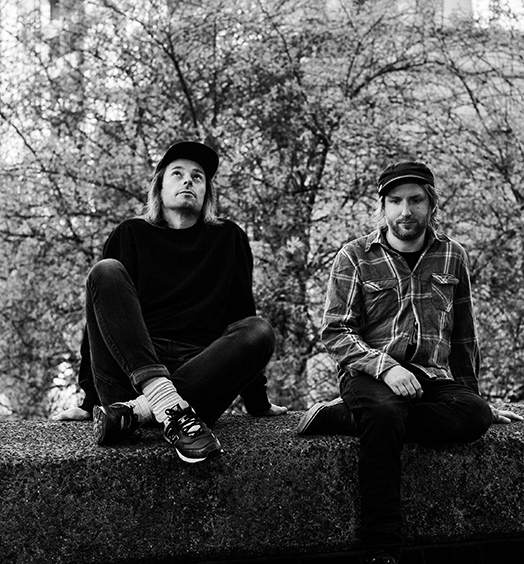 Hirvikolari the bands featuring Sam and Mike from Teeth of the Sea have been revealed as the support for the first ever London show for the great Heldon at Cafe Oto! Music from Goat, recorded and intended for use in a film about burning a giant straw goat? Seems like a perfect excuse to feature the Swedish psych collective to me. “Let It Burn” was recorded for use in the film Killing Gävle, a documentary about the custodians of a straw goat placed in the town square of the titular town of Gävle at Christmastime. The goat is in constant peril of being burned by mischievous pagans which, sure, makes perfect sense. Don’t erect a giant symbol of the old world gods without expecting true believers to get all effigy on it. The track in question is pure Goat, roiling on polyrhythmic drums flanked by flutes and doused in both fuzz and folk guitars. Essentially, if you’ve found joy in Goat’s catalog up to this point then a somewhat meta song about pagans going full Burning Man on a giant wicker likeness of the band’s namesake seems right in order. The b-side here is a mellow comedown, buzzing with drones and buttered with sax, it’s a different side of the psych warriors that shows them reveling in cosmic jazz without the hectic sweat of their usual rhythmic pummel. The song is a portion of a freeform studio jam, so it almost seems given there’s bound to be a “Friday Pt. 2” at some point down the pike. Unfortunately, the physicals were scant on this one, so either battle the Discogs goblins for a copy or be happy with the digital drop on this. Either way, it’s a prime slice of one of Sweden’s most excellent exports. 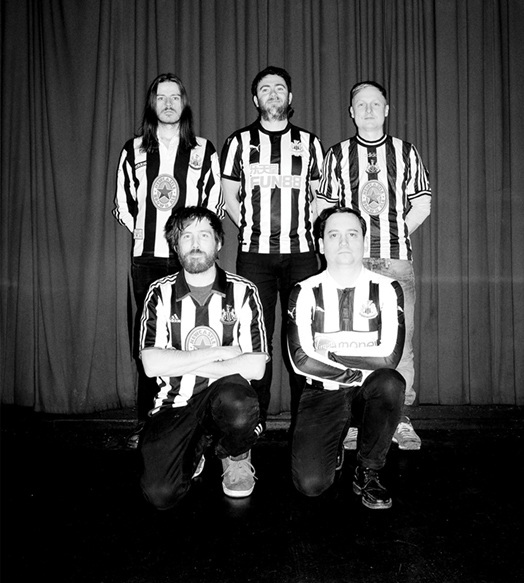 Kate Smith of Liverpool-based collective Bonnacons of Doom explains to Best Fit how she uses the influence of sacred music in her band's output. Even as a child I was quite cynical about religion, but sacred music is something that’s always connected with me. Although none of the band are religious in any way, devotional music has always been a key reference point in how we understand our music and our own creative process. 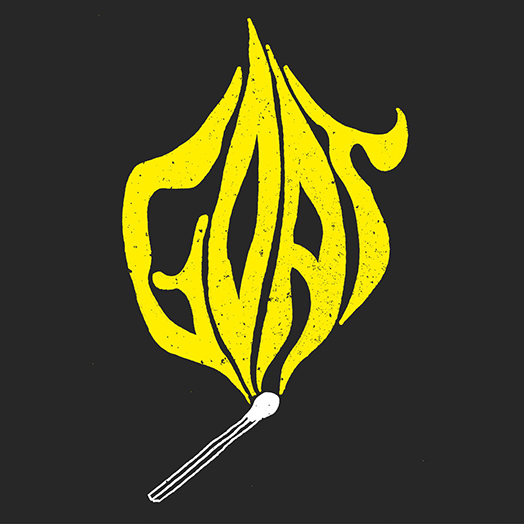 GOAT's new single 'Let it Burn' is released in all good record shops today!!! 'Let it Burn' was written specifically for the climatic scene in the short movie Killing Gävle, a The Guardian produced film (the video above uses footage from the film) directed by the very talented Joe Fletcher about the famous Gävle Goat in Sweden which every year local custodians of Gävle try to protect a giant straw goat that is built for the town every Christmas being burnt down by mischievous pagans. Obviously Goat’s music was the obvious to soundtrack the film – their back catalogue is used throughout the film but up to now it was the only place you could hear a segment of the 6 minute+ fuzz groove of 'Let it Burn' but now thanks to Rocket Recordings it can be heard in all its glory. The ltd edition 7" is available in four 'pot luck' coloured vinyl versions on Orange, Red, Yellow and now purple, each ltd to 400 copies and now a Purple version is now available which is ltd to 500 copies. And as of Monday 'Let it Burn' will be added to the BBC 6Music Playlist thanks to the love and support from DJ's Lauren Laverne, Tom Ravenscroft, Gideon Coe and Shaun Keaveny...not bad for a 6 minute track! There is no easy-to-read album Gnod has released on the world. It is brutal, experimental paranoia in its purest and best form. Inspired by the books by Robert Anton Wilson, they have created a scavenging best with two mountain chains on each side and a psychedelic valley walk in the middle. The opening with Donovan Daughter is a 15-minute rock crusher-dub of rehearsal, kraut, punk and lots of percussions. And in conclusion, Uncle Frank Says's Turn It Down is an equally tough continuation of the opening in what has to be called Gnod's version of sludge metal. And between these impenetrable monsters lies an experimental factory that is just as good as paranoid, beautiful and difficult. There are metallic drums, sampled voices, Finnish minimalism and Einstürzende Neubauten, nightmares and electronics. Together, all of this consists of five songs and 38 minutes of the best 2018 has to offer. It is so daring, so uncompromised and so totally in the absence of the least need to be ready or to sell, you just have to get up and applaud Gnod to once again have created a small masterpiece that does not build on the former but is something brand new and different. 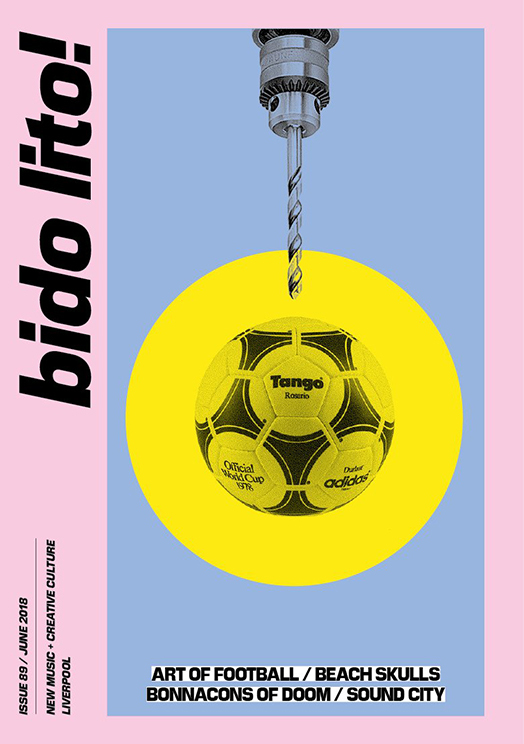 If you live in the Liverpool area, make sure you pick up a copy of Bido Lito to read an exclusive feature on Bonnacons of Doom. The earliest documented description of a bonnacon comes from the first century AD, in Pliny the Elder’s early encyclopedia Naturalis Historia. In the entry, the Roman naturalist describes the beast as a wild animal known as a ‘bonasus’, “which has the mane of a horse, but in all other respects resembles a bull; its horns are curved back in such a manner as to be of no use for fighting, and it is said that because of this it saves itself by running away, meanwhile emitting a trail of dung that sometimes covers a distance of as much as three furlongs, contact with which scorches pursuers like a sort of fire.” The idea of a horned beast emitting plumes of burning faeces gained popularity in medieval times when bonnacons came to be listed more regularly in ‘bestiaries’, their mythical status embraced as an apocryphal tale to warn city dwellers of the perils of unknown beasts roaming the fields. To celebrate tomorrow's release of Goat's 'Let it Burn' single we have 3 brand new 'Let It Burn' logo T-shirt designs available for pre-order. These are being made to order so get yours quick. 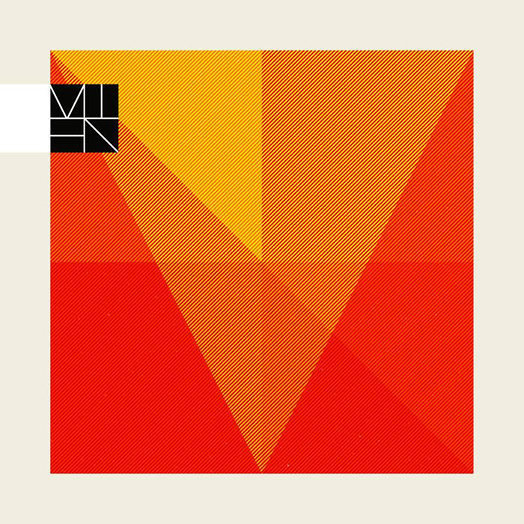 ‘Mien’ are a collaborative movement of musicians who in their own individual parts have been personally involved in the creation of some of the most exhilarating releases to ever have graced our ears over the past twenty or so years. Borne back in 2004 whilst crossing paths on various tours and out of an inherent desire for sonic exploration by a quartet of musicians comprising of Alex Maas (Black Angels), Tom Furse (The Horrors), Rishi Dhir (Elephant Stone) and John-Mark Lapham (The Earlies), ‘Mien’ have created a self-titled debut that took fourteen years to come to fruition. It’s inner workings are drenched with hallucinogenic nuances carefully stacked in a particular manner with each of it’s individual players adding a specific penetrable layer to each of the tracks whilst trying to avoid falling headlong into the pitfalls of some previously explored sonic paths. 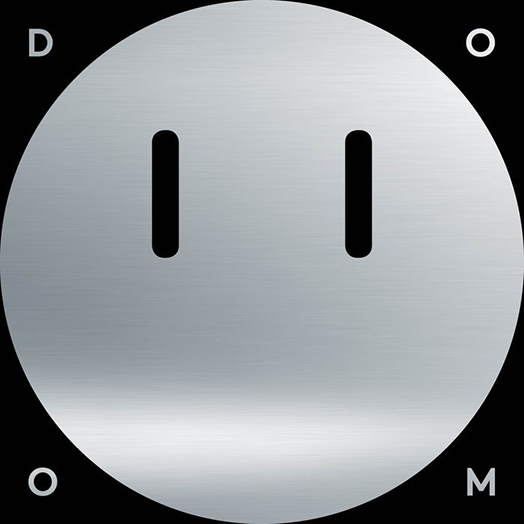 It works, albeit in a frenzied, motorik and experimental kind of way through all of it’s ten tracks. There are dark passages of atmosphere merged with wide scoped neo-psychedelia, brilliant broad spectrum sweeps through various music genres that all coalesce in one psych infused sonic surge, channelling psychedelic leanings from the past whilst inputting some modernistic sonic themes just for fun. 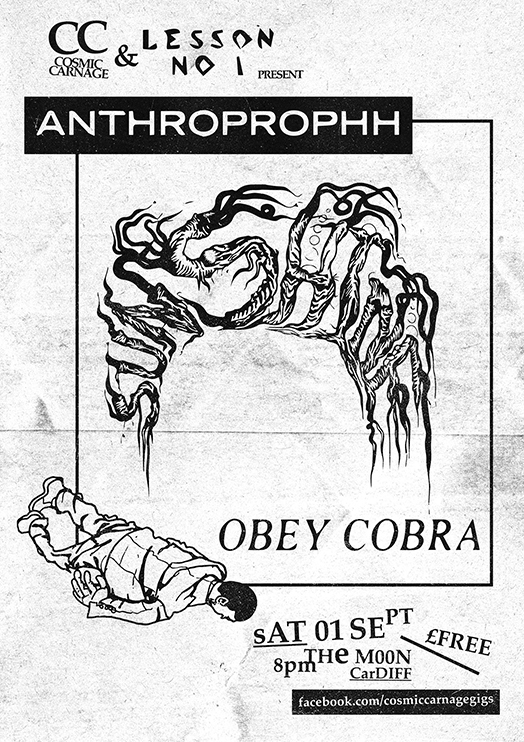 ‘Mien’ was officially released back on the 6th April 2018 via the good folks over at ‘Rocket Recordings’..
Anthroprophh have announced a new show in Cardiff, supported by the great Obey Cobra! 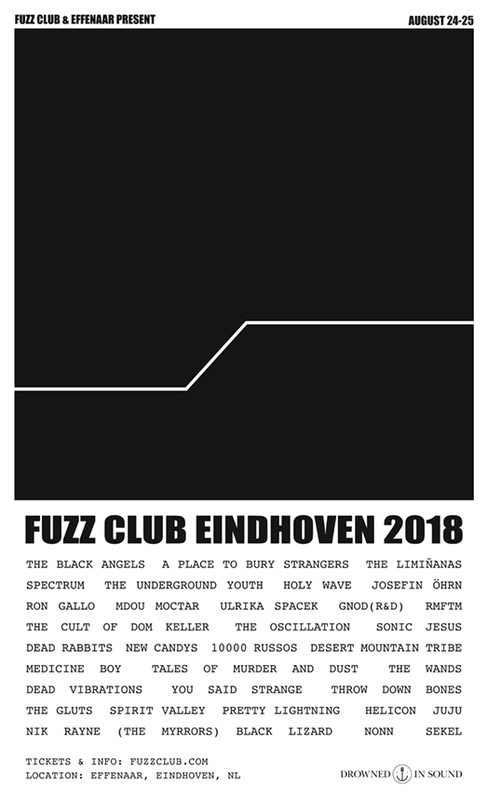 Our friends Fuzz Club and Effenaar have teamed up to put on a great festival featuring lots of Fuzz Club bands plus many other artists from the scene and we are pleased to say that Josefin Öhrn + The Liberation and GNOD (R&D) have been added to the bill!! 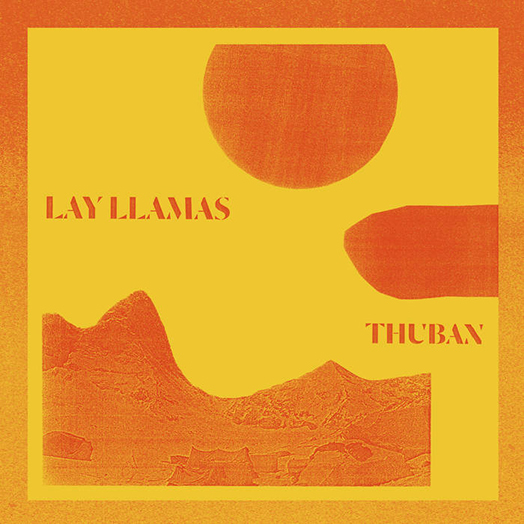 Sicilian Lay Llamas have today revealed a new video for track ‘Altair’, the third to be released from forthcoming album ‘Thuban’. ‘Thuban’ is scheduled to be released on 15th June and the album features contributions from Goat as well as The Pop Group’s Mark Stewart and Clinic. The 8-track album is the brainchild of Nicola Giunta, and involved as many of twelve different musicians yet with Nicola writing lyrics, singing, producing, mixing and recording at his home, whilst utilising new instruments from marimba to sax to kalimba to pilot this craft to dimensions unknown. ‘Altair’ is a psych-tropicalia excursion featuring lead vocals by Goatshee, one of the enigmatic singers from label mates Goat. The track centres around an addictive percussive groove and heavily fuzzed guitars that create a psychedelic pop mantra in the vein of the Brazilian band Os Mutantes. As we announced before, Goat's new single Let it Burn was put on BBC 6 Music's B playlist. Well from next week it is being upgraded to the A playlist...even more impressive for a 6 minute track!! The single is released in all good record shops from Friday!! 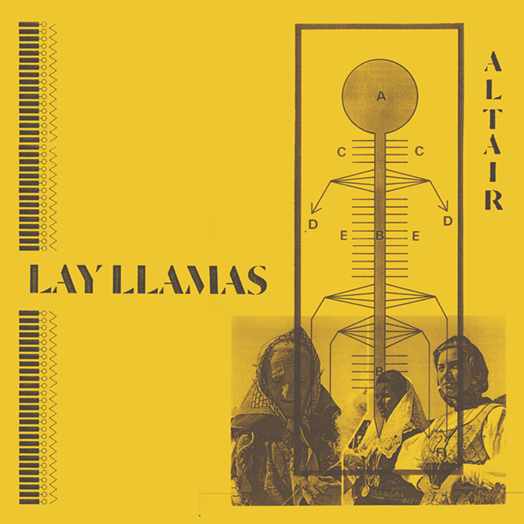 Lay Llamas have just revealed the video for 'Altair', the third track to be released from forthcoming album 'Thuban'. 'Thuban' is released on 15 June and the album features contributions from the aforementioned GOAT, plus The Pop Group's Mark Stewart and Clinic. The 8 track album album is the brainchild of Nicola Giunta, and involved as many of twelve different musicians yet with Nicola writing lyrics, singing, producing, mixing and recording at his home, whilst utilising new instruments from marimba to sax to kalimba to pilot this craft to dimensions unknown. The result has been a step beyond the kraut-damaged psychedelic mantras of 'Østro' into a realm seemingly without boundaries, one in which a pan-global fascination with rhythmic hypnosis and an unquenchable experimental zeal manifests hermetically-aligned revelations aplenty. On Friday Tom Ravenscroft gave the global first listen of a new GOAT track called Friday Pt 1 which is the bside of goats single Let it Burn that is released on Friday. The 7" single is available in four colours different colour versions Yellow, Red, Orange and Purple will be available to buy from all good record shops from this Friday. 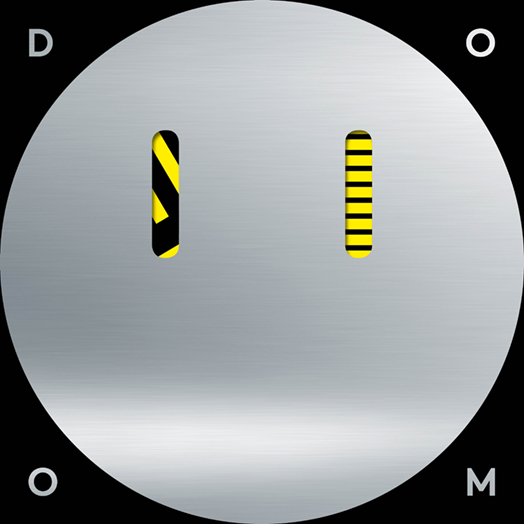 Today sees the release of Bonnaons of Doom's S/T debut album!! 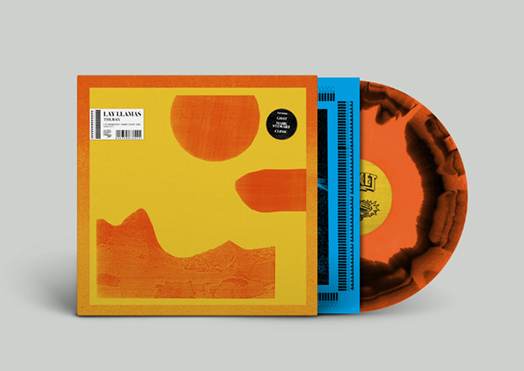 You can buy ltd edition LP in a diecut/mirrorboard sleeve on either 'Acid Splatter' or 'Blacker than Black' vinyl from your local record shop from today. Raw Power Festival will be returning to The Dome and Boston Music Room, in Tufnell Park over the Bank Holiday weekend. Raw Power Festival will be returning to The Dome and Boston Music Room, in Tufnell Park over the Bank Holiday weekend. 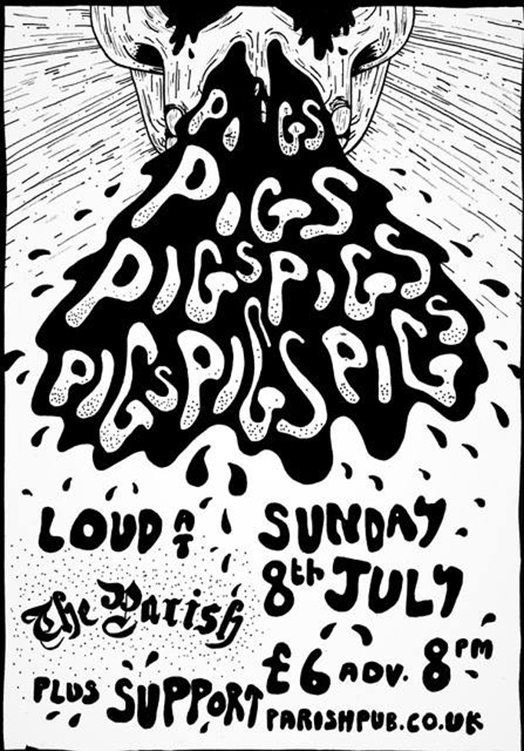 Speaking to Matt Baty, the softly spoken, down-to-earth frontman of the amusingly named five-piece Pigs, Pigs, Pigs, Pigs, Pigs, Pigs, Pigs (aka Pigs x7), you get little sense, at first, of the intensity, some might even say ferocity, of their sound. 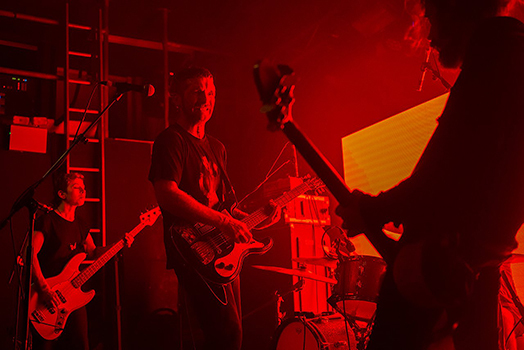 Drawing influence from old school psychedelic outfits like Motörhead and Black Sabbath, as well as the sludgier doom metal of more recent decades, Pigs x7 burst onto the scene with an EP, in 2013. 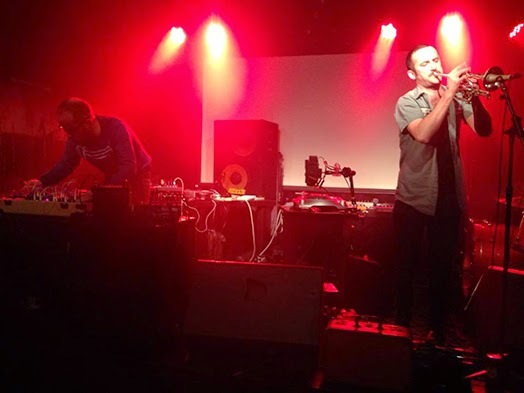 Watch IMPATV footage of GNOD's skull-crushing set at our Rocket Twenty weekender above. Huge thanks to IMPATV and The Quietus for all their support of our amazing weekender, still blown away with how amazing it was. 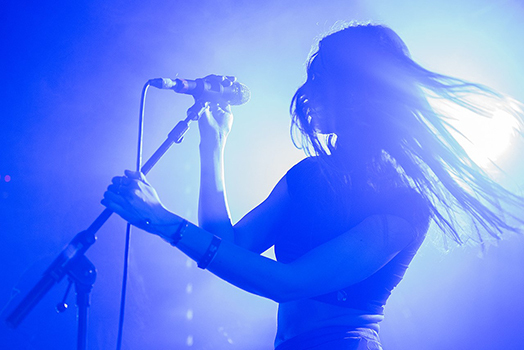 In 2017 GNOD were artist in residence at the great Roadburn Festival where they played four different sets. 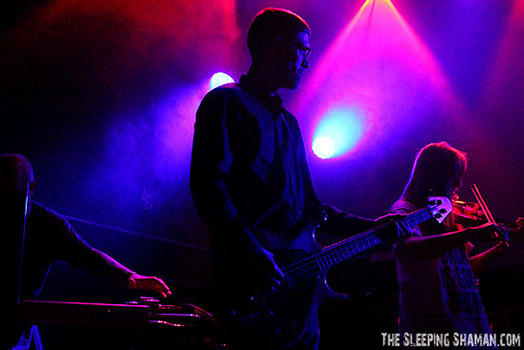 One of them was a collaboration with label mates Kuro, where they played an hour long ode to Tony Conrad and Faust's masterpiece 'Outside the Dream Syndicate'. Bonnacons of Doom are a collective, mainly based in Liverpool. 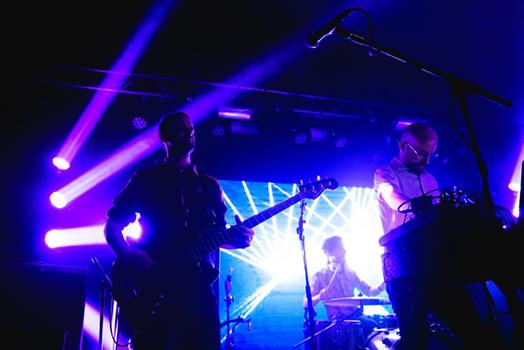 They include members of Mugstar, Jarvis Cocker’s band and Youthmovies. This is their debut album and it was recorded, mostly in single takes, with MJ from Hookworms at his Suburban Home studio. 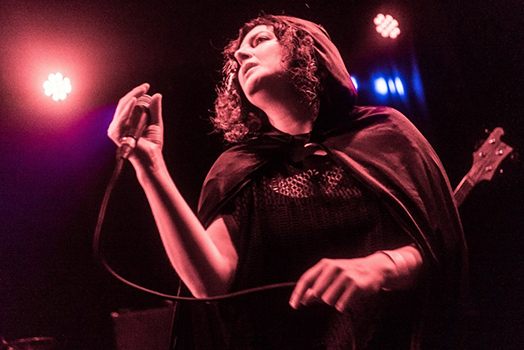 MIEN, a collaborative effort with The Black Angels’ Alex Maas, Elephant Stone’s Rishi Dhir, The Horrors’ Tom Furse, and The Earlies’ John Mark Lapham debuted their live set opening for S U R V I V E and Slowdive on day two. 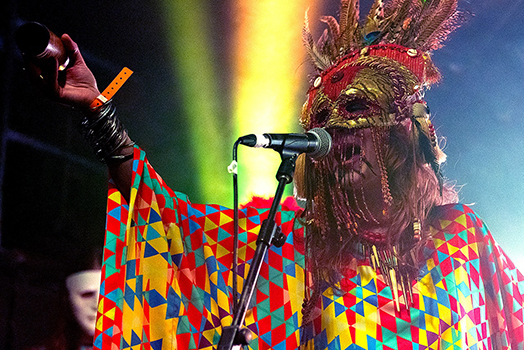 It was the highest impact set of the festival, luring the crowd into a world filled with gigantic cyber drones, thunderous tribal drums, an insistent penetrating sitar, and Maas’ pleading howl. 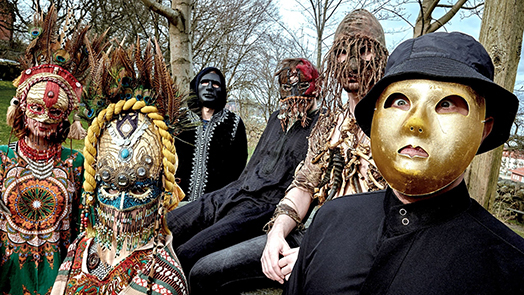 Goat are unmistakably one of the most original bands of the last decade. There’s a heritage of homeland psychedelic music, that's for certain, but with a rococo extroversion which never comes close to ordinary, even though many of their songs extend well beyond radio length. A new breed of dance music that is both entrancing and thrilling. If you’ve ever seen them live, there is a breathtaking energy in their ensemble. 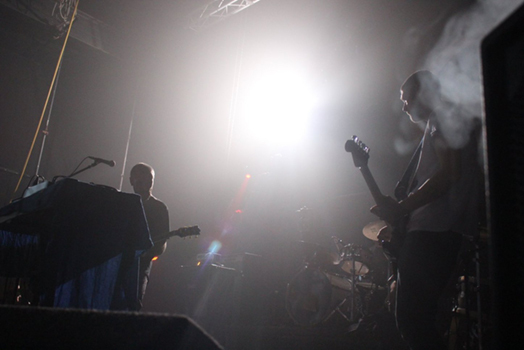 One organic whole, the sum of all their parts, Goat’s trance music simply sizzles with life. Let It Burn is probably their strongest single track yet. Tribal drumming tumbles inexorably into a fuzzy guitar rave-up with oddball references to secular folk, and a guitar solo straight out of Funkadelic’s songbook. The percussion alone on this track is phenomenal. The singers once again manage to shout their vocals slightly out of key, and yet sound so goddamn righteous. The talent in this group is downright rude. 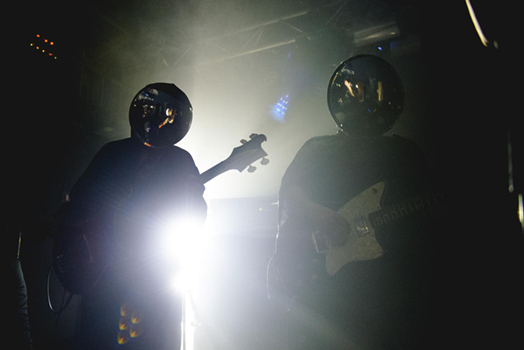 The ephemeral Bonnacons of Doom have built their reputation in the live setting – making ritual, costume and anonymity part of their show. While they might not be the first psych band to don robes and masks, they’re certainly coupling the pageantry with potency for a psychedelic storm that’s heavy and haunted. 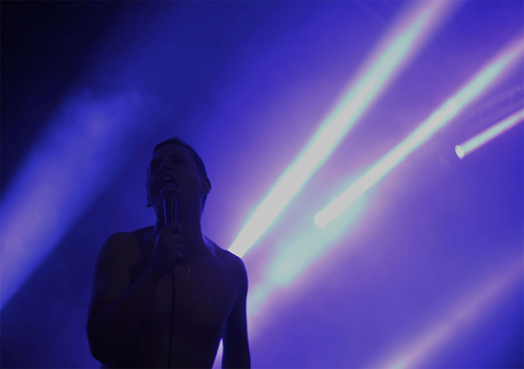 This time around the lineup consists of members of Forest Swords, Mugstar and Youthmovies – all of whom decamped to Hookworm’s Suburban Home studios for a crusher mostly composed in one take. On tape the band’s aesthetics have little bearing on the experience, unless you as a listener are prone to fixing a mental image of the band in place for the duration of a record. Stripped from the visual trappings their music still holds firm though, retaining a sense of rite and ritual, blending drone, an appropriate amount of doom and religious vibrations into an album that’s fraught with visceral punch. The label is not so off base to compare the band to Amon Duul II, they’ve got the same impulse to draw out improvs into ecstatic lengths, but there’s definitely a level of growling fury that might not have found its way into Duul’s work. Singer Kate (off with the surnames here) heightens the stakes on the agony vs ecstasy dynamic that burrows deep into Bonnacons work, pushing her vocals into non-syllabic acrobatics that singe as hard as the solos. BoD utilize the build and release model like any good Doom acolytes, and the payoffs are well worth it here but don’t just come for the clearcut burn. The band prove that their meditative thrum and cataclysmic comedowns in the aftermath of guitar destruction can be just as entrancing. The band’s debut arrives fully formed, leaving behind any claims of gimmickry on stage. What’s left of your eardrums you can mop up on the way out.